My guest this week is not only a dear friend and colleague from my magazine editing and writing days, but she’s also a published author, award-winning blogger and has most recently scored a two-book deal for her 2nd and 3rd novels with Kensington Books. (At the end of this post, we’ll be giving away a signed copy of her debut Earth’s Waters to one lucky commenter). Without further ado, please welcome to The Ball: Nicole Blades. Keep it positive. That was my plan when I set out to write this guest post. I was going to start by talking about my all-time favorite teacher, Mr. Harry Polka, with his bushy beard, plaid shirts and genuine, warm comportment. He was my third grade teacher, and though he didn’t believe in homework — “Your parents don’t take home their work, do they? — he very much did believe in storytelling. That, and the Beatles, whose music he played on an antique record player during class every day. Mr. Polka was an important figure in my life, because it’s through him and my father that I caught the storytelling bug as this curious kid growing up in Montreal. And I’ve been putting my wild words and imagined worlds on paper ever since. Then I was going to move into my reading life in this post, resting on nostalgia for beat, talking about my first encounter with Toni Morrison (The Bluest Eye), Octavia Butler (Kindred), Maya Angelou (I Know Why the Caged Bird Sings), Langston Hughes (The Ways of White Folks), Edwidge Danticat (Breath, Eyes, Memory), James Baldwin, August Wilson, Alice Walker, and right on up to Chimamanda Ngozi Adichie, Zadie Smith and Teju Cole; delving into how it felt to see me, or at least some likeness of the Black experience, show up on the page and command my full attention. I was going to relish in those moments of true representation in the countless books I happily and regularly got lost in, with different versions of Black Life baked into the story, and how seeing all of those vast and rich worldviews, cultures, environments and backgrounds pushed to center stage — on purpose — to entertain, enlighten, edify, and engage made me feel counted, considered, seen. Yes, for this guest post, I was going to focus on all of this goodness and more, keeping my Silver Linings Playbook tucked in my back pocket (you know, just in case), as I unpacked what it means to be a black writer in a very white publishing world. But I couldn’t do it. I couldn’t truly hold to this “positive spin” approach I had planned, because when it comes to talking about the dire state of diversity in publishing, there is no positive spin. The lack of equity, the continued marginalization of black and brown writers in the overwhelming white publishing industry is stark and exasperating. Crushing, even. Just look at the numbers: According to annual data collected collected by the University of Wisconsin-Madison’s Cooperative Children’s Book Center, the number of children’s books published featuring “African-American content” went from 93 to 179 last year — almost double. But that’s 179 out of the 3,500 books that were published in 2014. That works out to 0.05 percent. Not even one whole percent. And for writers of color working on the adult lit side, the atmosphere is just as bleak. From the paltry percentage of books by writers of color reviewed by the New York Times (a trifling 12 percent in 2012) and the annual, highly respected summer reading lists that almost consistently feature zero books by authors of color to the alabaster panels at major publishing industry events, conferences and literary award shortlists, and the monochromatic industry itself — editors, agents, book buyers, publishing Big Cheeses — forget the playing field being uneven, the game is rigged. Originally, I wanted to go with a “positive” angle for this post because I’ve been very fortunate to land an agent and, recently, a two-book deal with Kensington Books, working with a talented Black woman editor there. I didn’t want to come across like I’m standing on a soapbox from inside the room (albeit, barely in the foyer,) into which so many of my fellow writing warriors of color continue battling to gain access. But that worry fell away, because I know that speaking the truth is at the core of storytelling, and self-editing and mincing words about the galling lack of diversity in publishing does nothing to amplify the message that change must come. And while it’s thoroughly encouraging to see authors of color like Jacqueline Woodson and Junot Diaz win prestigious awards, and writers like Roxane Gay and Ta-Nehisi Coates move deeper into the Special Rooms, invited to sit at the table and go and come at their leisure, it’s simply not enough. Of course I don’t mean to diminish the significance of these writers’ accomplishments. No, I see each as a victory to be celebrated and counted as wins for the overall community of black and brown artists. But we need more. We need bigger shifts. We need tides turning in order to steer closer — and with some urgency — toward a publishing world that is reflective of the one in which we’re living. 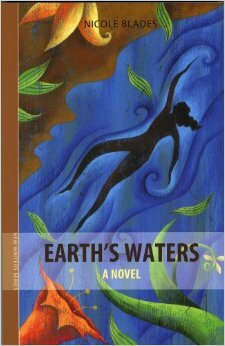 GIVEAWAY: Comment on this post by Noon (EST) on Sunday, August 2 to win a copy of EARTH’S WATERS. Follow The Debutante Ball on Facebook and Twitter for extra entries—just mention that you did so in your comments. We’ll choose and contact the winner on Friday. Good luck! 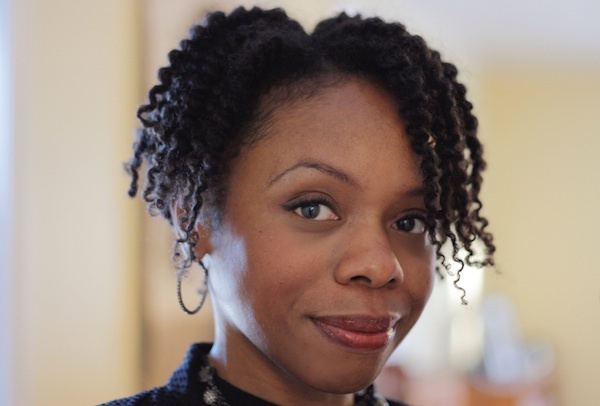 Nicole Blades is an author and freelance journalist who writes about motherhood and race, identity, culture, and technology. Her debut novel, EARTH’S WATERS, was published in 2007 and her second novel, THE THUNDER BENEATH US (Kensington), will be published Fall 2016. Follow her on Twitter and her award-winning parenting blog Ms. Mary Mack. ← News Flash: Launch week, More Writing, & Amy’s Giveaway! Thank you for the kinds words, Antonios! Appreciate you reading the post and commenting. This is a great post, Nicole. For me, you absolutely stayed positive. Pointing out the truth isn’t going negative. I’m hoping for bigger shifts, too! Thanks, Shelly. I didn’t want to come across as ranting or like I’m belittling the strides that have been made. But you’re correct: bigger shifts are needed, and that’s just the truth. “…speaking the truth is at the core of storytelling, and self-editing and mincing words about the galling lack of diversity in publishing does nothing to amplify the message that change must come…” <= perfectly said, Nicole. Thank you! Thank YOU for reading the post and taking something from it, Karma. Thanks for this post, Nicole. I think either approach can be hugely effective. A “positive” spin can highlight what is and what can be — we all need something to strive for and believe can happen. But even better to mention those inspirations and then to pull us towards the problems that need work and make us look, really look. It can be so hard to stay upbeat on this topic, but you did (despite yourself!). It’s so important to keep talking and keep working and find likeminded people who will be there when things get tough. Thank you so much for your candidness. It is indeed a challenge. But, as you said, we need to keep talking and keep working. Thanks, Sona.